Are you a consultant or coach interested in using VoicePrint? Would you would like to add the unique advantages of providing and interpreting the VoicePrint diagnostics to your skill set? If so, you can become trained and accredited as a VoicePrint practitioner and provider. We’ve created a number of options to allow you to tailor training and accreditation to suit you, as well as developmental resources to support you in using VoicePrint effectively. Learn more about the benefits of VoicePrint training for coaches and consultants. Looking to improve communication for yourself or your organisation? Our Talk-Wise course is focused on you and the conversations that matter to you most. Talk-Wise enables you to translate the insights from the VoicePrint diagnostics into practice, and to develop the in-the-moment alertness that turns awareness into skilful and timely performance. Talk-Wise is designed to be the single most useful personal development experience you will ever have. 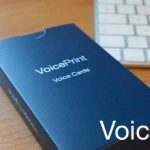 Do you have a project where you’d like to use VoicePrint? 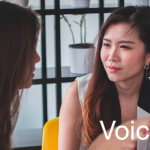 If you think VoicePrint might be useful for a particular project or requirement of your own, then we can provide accredited practitioners who can deliver expert support in its use and application. 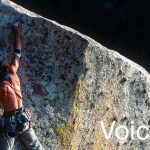 Learn more about the type of projects where VoicePrint has already demonstrated its value and the growing number of consultancies who have chosen to make VoicePrint one of their own capabilities and services.